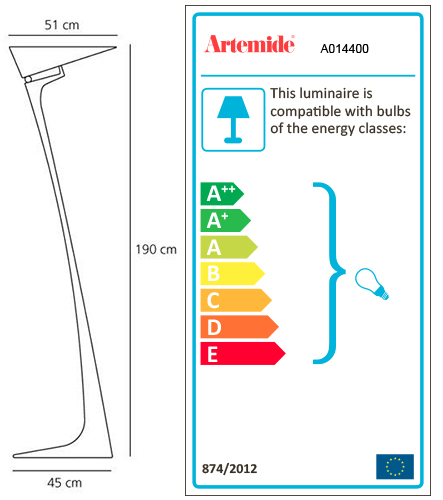 ARTEMIDE MONTJUIC is a floor lamp. Bulbs not included, 1x400W Halo o 1x11W LED DIM (R7s). Dimmer.